This is a great venue for a race, which is why we come here twice a year. Water temperatures are usually very comfortable and we will have you well spaced out with a one loop and interval wave start. You begin on the beach swimming in a rectangle clockwise direction. The swim finishes with a relatively long run over grass and gradual uphill to transition. 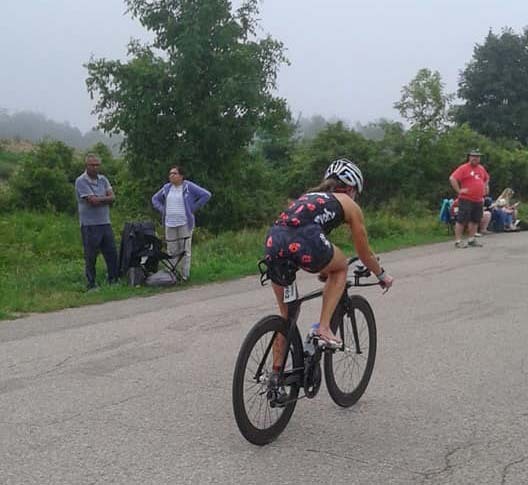 The bike course is fast with rolling hills but nothing too difficult. If it is windy you’ll feel it because the roads are open and exposed, but it’s out and back so you won’t see a headwind the entire time. Be aware of the speed bumps on the road that leads in and out of the conservation area. It’s easy to lose a water bottle if you’re not careful. The run is completely contained within the park and composed of flat paved roads with short rolling hills. 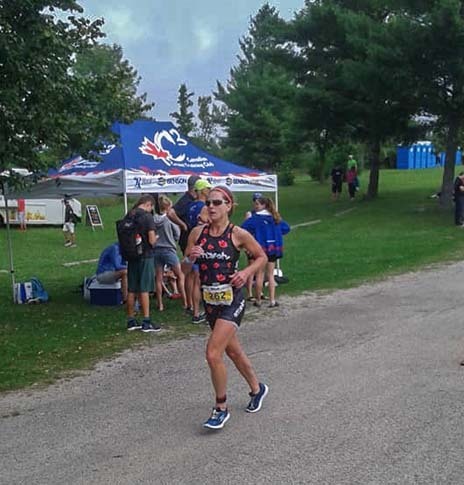 Huge Congrats to Sara McIlraith for third female overall.. including the pros!! 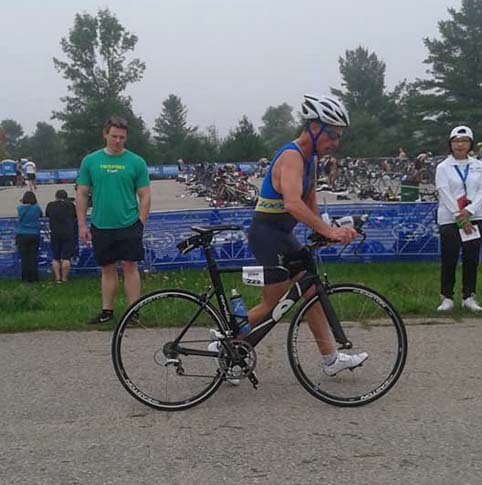 Steve Matusch: Had an awesome day today at the Guelph Lake triathlon!!! 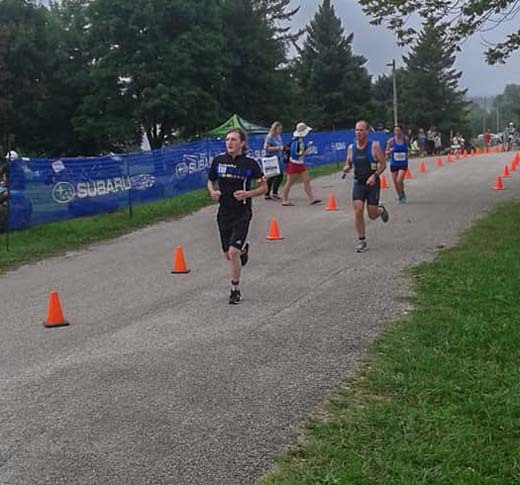 First tri in 13 years. And finished in top third of my age group!!! 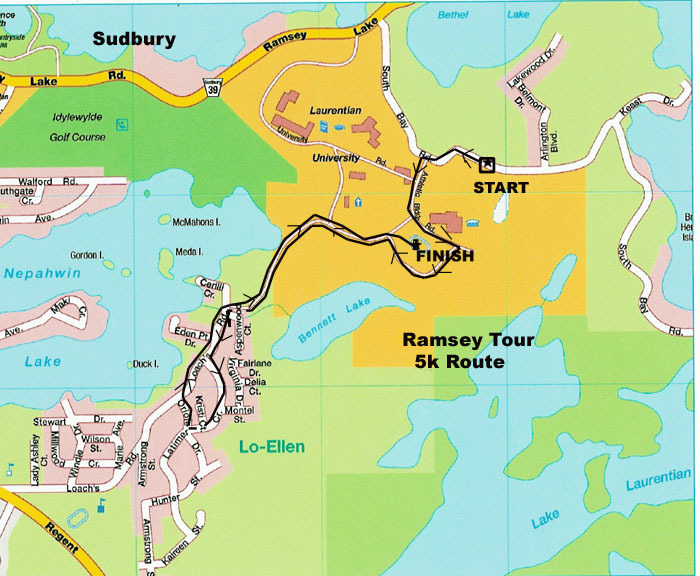 This coming Sunday morning, the Sudbury Masters Running Club will stage the 42nd annual edition of the Ramsey Tour. 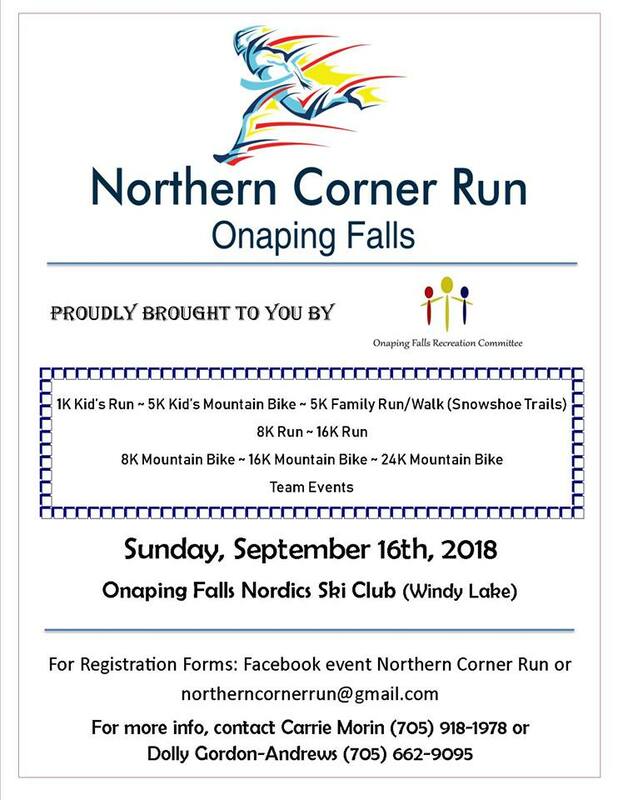 For the past quarter century, however, the event has been inextricably linked to one Jesse Winters, race director for every single one of those 25 early September gatherings. Not that Winters and the Sudbury Masters require anything close to six degrees of separation. Truthfully, they have been joined at the hip for quite some time. Winters laughed as he explained the brainwave that launched his running career. 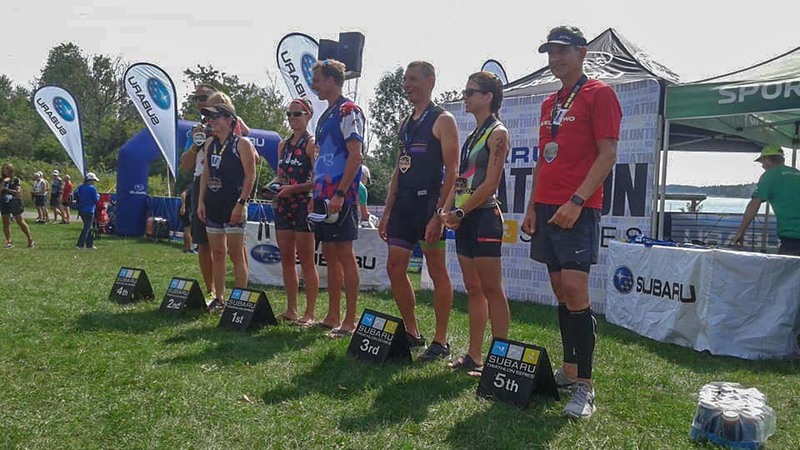 “The mine was three miles from town, so I started running to work, worked all day and ran the three miles from work back home.” The steady diet of running, hockey and even refereeing a couple of nights a week did the trick for the local financial advisor, reaching the point where a 10 km race was navigable. There he would meet Mike Narozanski and Dan Welch. Though the Sudbury Masters dated back to the year 1969 and names like Louis Moutsgaard (still involved to this day), Vic Bridle, Mike Furlong and Ted Coe, it was the Narozanski/Welch tandem that lassoed Winters into what would become a much longer than first anticipated partnership with the group. Though Winters would expand the scope of race sponsors, there were challenges beyond his control that lie ahead, the wave of popularity of the “Participaction” era of the 1970s and 1980s giving way to a less active soon-to-be new millennial group. “There was a gradual decline in runners through the 1990s,” he said. On a more personal level, about the same time, the local man was ready to tackle a running goal of his own. Crossing the line in Ottawa with four minutes to spare, Winters returned to the same venue again in 2005, but would not tackle a third marathon until heading to Green Bay in 2008. Breaking the 3:45 barrier, he would qualify for Boston, and has since padded his marathon resume with stops in Chicago, Berlin, New York City and London. On Ramsey Tour race day, however, he puts away the shoes for a bit. “You don't have time to run the race if you are organizing the race,” confessed Winters. Over time, his troop of dedicated game day volunteers has expanded beyond the ever-faithful presence of a large number of folks who have witnessed twenty or more of these races, later welcoming aboard the primary beneficiaries of the event. 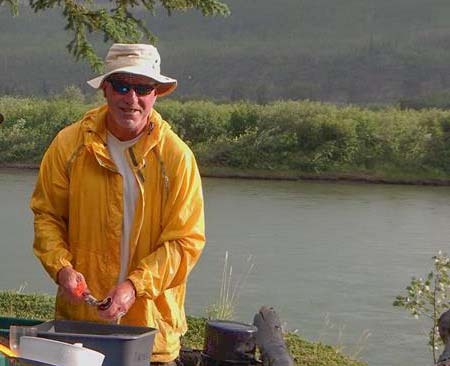 There will come a time that Winters will step back, just as a juncture will be reached when he can no longer endure the toll of a 26-mile marathon. 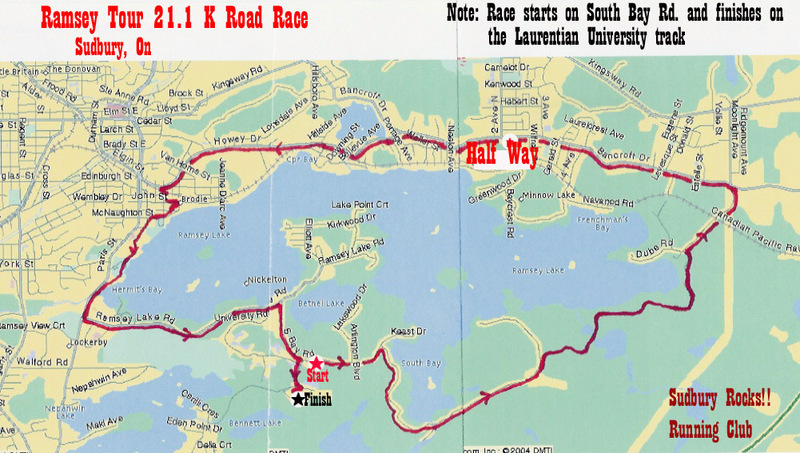 For now, however, the Sudbury running community will remain thankful for his ability to participate, both as an athlete, and an organizer. Don't assume that pounding the pavement degrades knee cartilage: it might actually be an ounce of prevention. It’s a rare runner whose knees haven’t felt the brunt of their running habit. It has a reputation for being tough on the joints: peak loading at the knee is three times that of walking and eight times more than standing. It’s not unusual for the well intentioned to suggest retiring your running shoes in favour of an activity that’s more knee friendly. Before you start researching the cost of a good road bike, it’s worth noting that long distance runners have a lower risk of osteoarthritis than the general population. So while it’s easy to assume that kilometre after kilometre of pounding the pavement slowly degrades the cartilage — the cushioning that keeps bone from rubbing against bone — running might actually be an ounce of prevention. In fact, sports like soccer and weightlifting have a higher incidence of osteoarthritis among their athletes than the running community — even when taking into account traumatic knee injury, which raises the risk of developing osteoarthritis. Keeping in mind that the cause of osteoarthritis isn’t totally understood and is probably caused by a combination of factors rather than a single lifestyle choice, the debate about why runners are less — not more — likely to experience a loss of cartilage is ongoing. One hypothesis is that the cartilage is actually stiffer during activity than during periods of inactivity, which decreases the impact stress on the joint while running. In practice, that means the cartilage is under more stress when standing for 30 minutes than while running for 30 minutes, which might explain why osteoarthritis is higher among those who stand for a living versus runners who log an impressive amount of training hours. It might also be the reason athletes who put excessive amounts of load on their joints but in a more static position (like weightlifters) and those who walk around day after day carrying excess weight have higher rates of osteoarthritis. It’s also possible the cartilage becomes conditioned to the stress of running, provided it has enough rest and nutrition to recover from the effects of a long run. Perhaps physical activity like running promotes the growth and health of cartilage along with strengthening the stabilizers around the knee, which distributes the stress more evenly across the joint. Then there’s the simple assumption that runners are leaner than non-runners, which means less day-to-day stress on the knee. Jeffrey Geller, chief of the division of hip and knee reconstruction at Columbia University Medical Center, points out that blood flow to the knee cartilage occurs only during physical activity. “Activity and weight-bearing forces the nutrients in the joint fluid to diffuse into knee cartilage, and that is its main source of nutrition,” he says in a quote in the Journal of the American Medical Association (JAMA) article Can Exercise Prevent Knee Osteoarthritis? Keep in mind that running is less likely to stress the joints of healthy runners, but might not offer the same protective benefits for runners who have other risk factors related to osteoarthritis, like suffering a traumatic knee injury (meniscus or anterior cruciate ligament tear). About 10 per cent of adult-onset knee osteoarthritis is related to previous injury, experts suggest. Like all studies, the results can’t be extended to all runners, especially those who log an exceptional number of training hours. This elite crowd might push the limits of the protective benefits of running, crossing the line into overuse. But be wary of associating an aggressive training schedule with damage to the soft tissue surrounding the knee or the likelihood of experiencing knee pain later in life. There’s no proof that ultra distance runners are shortening the life cycle of cartilage. Bottom line: Don’t be put off when someone tells you a cautionary tale about running exposing your knees to undue stress. The same goes for runners north of middle age. There’s no evidence that running is any less protective of the knee joint as the decades add up. And the final piece of good news is that you don’t need to be a current runner to benefit from the protection it offers the knees. Studies show that anyone with a history of running is less likely to suffer knee pain than non-runners. Does that mean runners’ knees are bulletproof when it comes to injury? Not necessarily, though most osteopaths will tell you that knee pain is often a symptom of poor mechanics or a misalignment elsewhere in the body. The knee takes its share of the impact during a run and pain deserves attention, but it’s rarely a reason to give up running altogether. So don’t hesitate to seek expert advice if knee pain is putting a damper on your running, but don’t be too quick to heed well intentioned advice to hang up your running shoes for good. There is no denying the mass appeal of the Olympics. Even non-fans of sport in the Sudbury area would recognize the names of Devon Kershaw, Meagan Duhamel, Rebecca Johnston, Tessa Bonhomme and Collin Cameron from recent winter incarnations of the Games. Though it's now been more than twenty years since the memories of Atlanta in 1996, few locals have forgotten their pride of cheering sprinter Robert Esmie and his teammates on the track. Much the same holds true for Alex Baumann and his double gold medal performance in 1984 in Los Angeles. Leo Roininen, by contrast, is not nearly as well-known, even by the most ardent of Olympic followers in northern Ontario. A graduate of Sudbury Mining and Technical School, Roininen was representing the Sudbury Alerts Athletic Club by the time that the re-launch of the Olympic Summer Games was approaching in 1948. Following the 1936 Games in Berlin, the Olympics endured a lengthy hiatus due to the advent of World War II, with cancellation of the event in both 1940 and 1944. The timing of the London Games in 1948 coincided nicely with the rise to national prominence of Roininen, a top level thrower who specialized primarily in the javelin and the shot put. In June of 1948, Roininen would capture both competitions at the Olympic and Ontario Track & Field Championships, which were hosted, somewhat ironically, in London, Ontario. The athletic Finn sailed the shot put 43 feet 9 3/4 inches before heaving the steel point 178 feet plus. Little surprise that he was named as one of 45 athletes who would represent Zone 2 at the Canadian Olympic Track & Field and Dominion Championships in Montreal, a meet that was staged on July 9th and 10th, 1948. After finishing third in the shot put, trailing both Eric Coy of Winnipeg and Johnnie Pavelich of UBC, Roininen won the javelin bracket, recording an impressive best throw of 197" 9 7/8th', just barely missing the Olympic standard. Thankfully, Canadian officials enjoyed some flexibility in those days, naming the Sudbury man to the Canadian Olympic team, with Roininen joining many of the athletes who would don the maple leaf, assembling in the port of Halifax on July 15th (1948), setting sail for London, with the Games running from July 29th to August 14th. Though he would finish 20th in his only Olympic experience, Roininen was one of ten members of the Canadian track contingent that were named to compete as part of the British Empire team, facing the United States in a dual meet immediately following the London Olympics. Roininen would go on to capture a gold medal in the javelin at the British Empire Games in 1950, also earning bronze in the shot put at the same competition. As for the 1948 Summer Olympics, Games' stars included Czech long-distance runner Emil Zatopek, who went on to claim three gold medals at the 1952 Summer Olympics in Helsinki, as well as Dutch sprinter/hurdler Fanny Blankers-Koen. University of Western Ontario track and field athlete Bob McFarlane earned the honour of carrying the flag at the 1948 Opening Ceremonies, festivities that were presided over by King George VI.